I am a midwife that loves out-of-hospital birth. I love seeing how amazing people in labor can be on a daily basis, I understand that it may not be the right choice for everyone. Beautiful births happen everywhere: at home, at birth centers and in the hospital… even in operating rooms! I passionately believe that every person, no matter where they choose to give birth, should be treated with respect and honor during one of life’s most transformative moments. I want you to know what your choices are, and to understand the potential impact those choices have on your birth experience. There is nothing I dislike more than hearing someone say they had a terrible birth experience and they wish they had found me before they had their baby! Informed consent, evidence-based information, and shared decision-making are crucial for a confident birth. So what IS most important to you about your birth? Jot down some thoughts about the kind of birth you envision for yourself. Hospital: 98-99% of births in this country take place in the hospital. That being said, there can be huge differences in outcomes at different hospitals in the same area. We see this here in the Twin Cities, where some hospitals have very high cesarean rates, while another hospital across town has a very low rate. Hospitals are offering more and more choices to birthing families, but make sure you get the real scoop on what is marketing and what is real choice. There is a lot of window dressing these days! Freestanding Birth Centers: Freestanding birth centers are one of the newest options in birth location, and they can be a great choice if you have a low-risk pregnancy. They have a home-like environment where you can labor and birth, but go home once you and baby are both able to (typically 4-6 hours after birth). 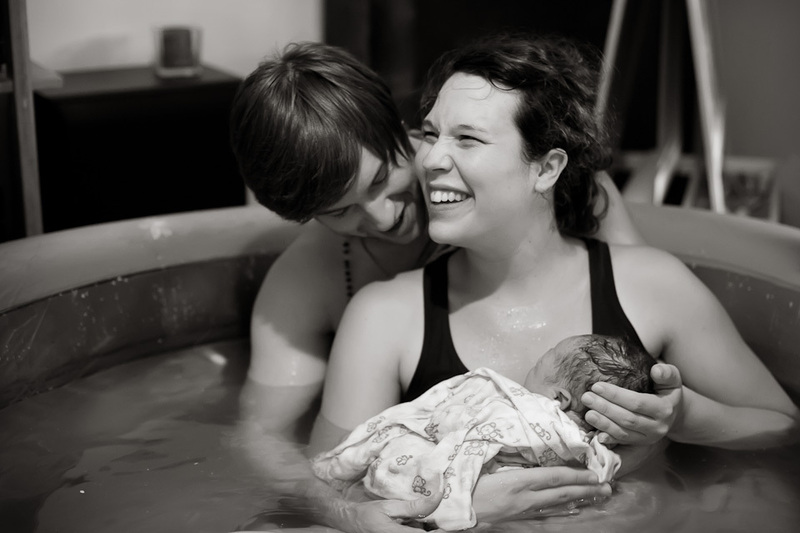 Home Birth: Home birth can be a hotly contested issue. The truth is that for a low-risk, healthy mother and baby, home birth can be just as safe as a hospital birth with a trained and skilled provider. The best part of home birth is getting to snuggle in your own bed with your baby! The benefits of home birth are many – check out our website to read about the benefits and safety of home birth. Midwives are the experts in physiologic birth. If you want a natural birth, a midwife is the best type of provider. If you have a higher risk pregnancy but still want a natural birth, you may want to check out midwives in the hospital, as many hospital midwifery practices can provide you with the care you need but still help you get the birth you want! Certified Professional Midwives (CPMs) are the experts in out-of-hospital birth (free-standing birth centers and home births). They have specific training to care for both mother and baby during home or birth center births. They primarily care for low-risk, healthy pregnancies, but if you have a health situation but you want an out-of-hospital birth, don’t be afraid to ask! 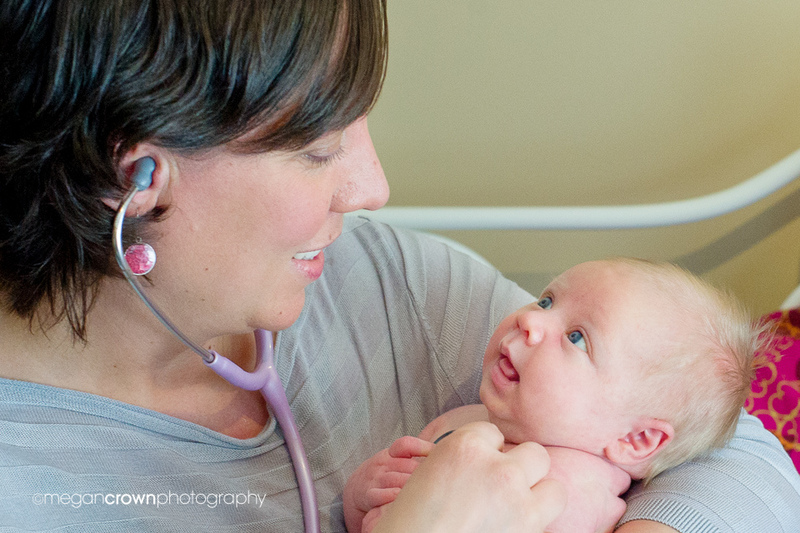 Midwives can sometimes manage situations in collaboration with a physician. Family Practice Docs are a great option for hospital births! Many of them attend their own patients and tend to be more laid back in their approach. If needed, they will consult with an OB/GYN for high-risk mothers or those requiring surgical intervention in labor. OB/GYNs are trained primarily in surgery. Normal, natural birth is not part of their training. There are OBs who do specialize in normal births, but they are the exception rather than the rule. With any provider choice, get on your local birth/parenting or Facebook groups and find out what people’s experiences have been with the providers you are looking at, then interview a few to find the right fit for you! Wherever you are planning to birth, if you want true education about how birth works and getting the tools you need to birth with confidence, choose an independent childbirth educator! Hospital classes are designed to teach you how to give birth in that institution. Independent classes teach you how to advocate for yourself in any type of birth situation. Eat well – Eat primarily whole, unprocessed food as much as you can, limit sugar, and try to get your veggies in. Walk daily – Even a 15-minute walk daily can help your body get aligned and increase your endurance for birth. Listen to your body! (But not when it says to eat the pint of ice cream). If you need to rest, rest! If you need more food, eat more high-quality food! Doulas are an amazing addition to any birth team. They help you advocate for yourself and can help your partner support you in the best way possible. They are knowledgeable, skilled “tour guides” for any type of birth. Doulas provide physical, emotional, and informational support. Bodywork, especially chiropractic care with a skilled provider for pregnancy, can help get your pelvis and your baby aligned for your optimal birth experience. Other types of bodywork that can also help you include prenatal massage, Mayan abdominal massage, myofascial work, and more! Birth is unpredictable. We do our best to prepare by controlling the factors that we can, and handling unexpected situations as they arise. It is helpful to create a vision of your birth, but to also be open to potential variations that may occur. Think through what those variations might be, and decide what is most important to hold on to from your vision and what you can let go of. You have choices! Going in to your birth with a plan and support will help you make the best choices possible to help you have the birth you want! Happy Birthing!